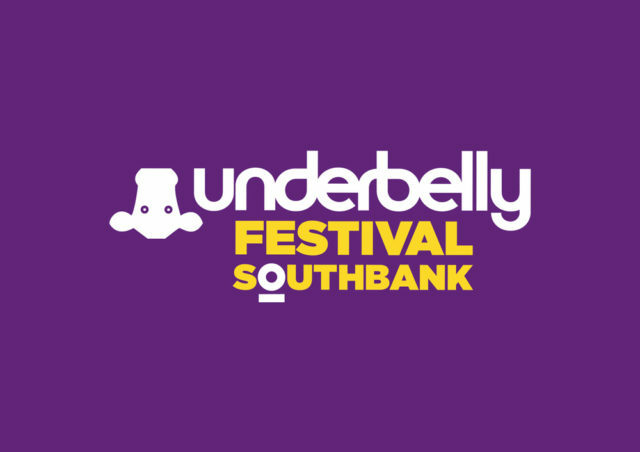 Every year, The Southbank plays host to the Underbelly Festival. A summer staple that erects a giant purple tent (which used to look like an upside down cow) and large outdoor bar next to the London Eye between April and September. 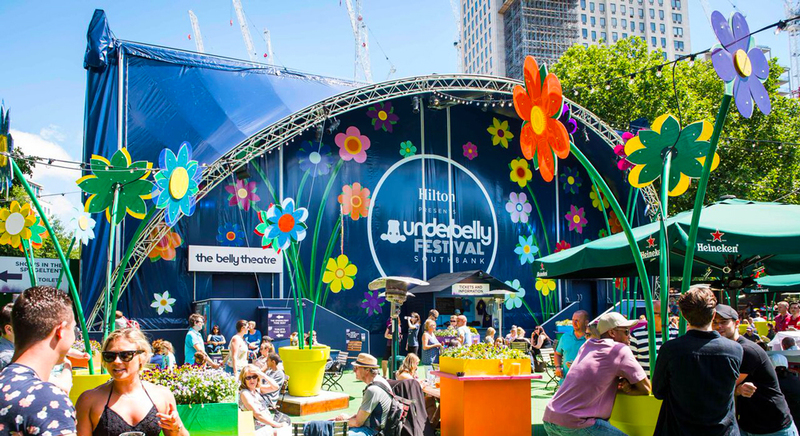 A summer favourite of ours, The Underbelly Festival is the perfect place for a date if the sun is shining. Underbelly is a pop-up festival that showcases some of the best circus, comedy, cabaret, as well as family entertainment throughout the summer months. When the sun comes out in London, you can feel the mood lift and the spirit of the town grow. The Southbank with it’s many tourists is no exception, but Underbelly somehow remains off the tourist radar. When the sun shines over, London it reaffirms our love for this crazy city, and when 5:00pm strikes, we head to the Big Purple Cow for a jug of Pimms to celebrate the end of another day. 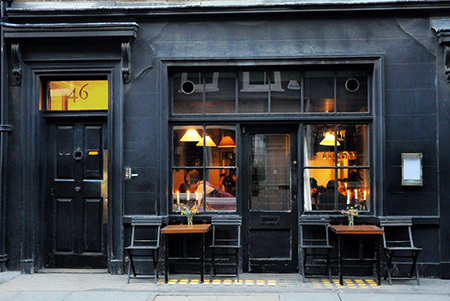 The venue offers several bars, including of course, the original sign of summer, a Pimms bar. 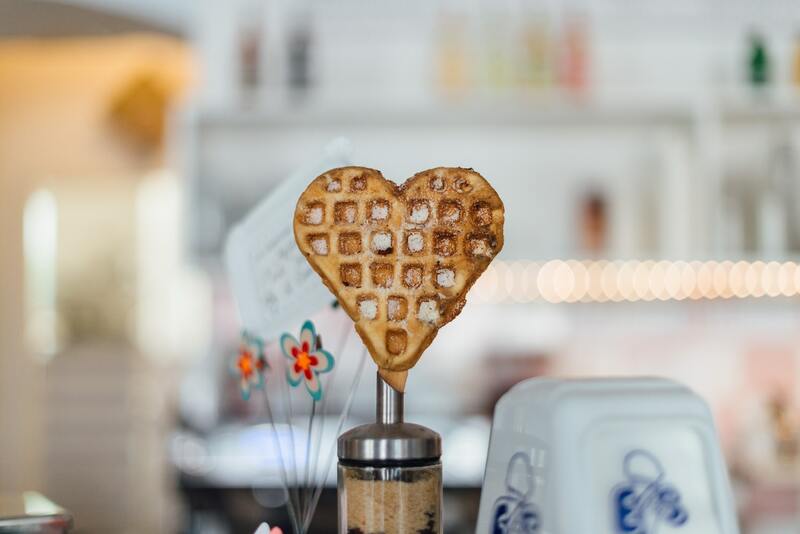 It’s also host to a variety of food truck-style grab and go grub. The menu changes year on year, but you can expect pizza, burgers, chips and sweet delights. Seating is plentiful but it does get busy. Don’t fret if you can’t grab a place to sit, seating opens up quickly as performance start times vary throughout the day and into the evening. Underbelly is not a place to go to if the weather turns as there’s limited overhead coverage outside of the events space. Underbelly is one of the largest operators of events at Edinburgh Festival and only the very best acts perform on their stages so all the shows on the Southbank will be top notch. Acts we highly recommend are the highly skilled rap comedy antics of Abandoman (absolute ledge), the cheeky northern comedy magic of Pete Firman (total ledge) and the hilarious fun and games of The Horne Section (mega ledge’s). Whatever you decide to see we’re sure you’ll have an awesome time. Even if you haven’t been able to get tickets for a show, it’s worth just going to the outdoor bar as it’s a fantastic place to grab a few drinks in summer sun. Grab your date and take them to an oasis in the midst of tourist-land. See other date ideas in Waterloo.